It will soon be the anniversary of the Battle of the Little Bighorn and the Lakota-Sioux people and their Cheyenne cousins will once again prepare to celebrate their stunning victory over Lt. George Armstrong Custer and his elite Seventh Cavalry on the 25th and 26th of June, 1876 as the Indian Wars on the Great Plains hit a all time new high. The United States Government had decided they would no longer tolerate free roaming nomads in the unceeded territory of western South Dakota, northern Wyoming and southeastern Montana. Lakota-Sioux leaders rallied their warriors and they say it was Custer’s last stand although it turned out to be the Indians last stand. When Kim and I were travelling the Great Plains in June, 1989 we stopped at a small powwow at Cedar Lodge located just outside the Badlands National Park in western South Dakota. 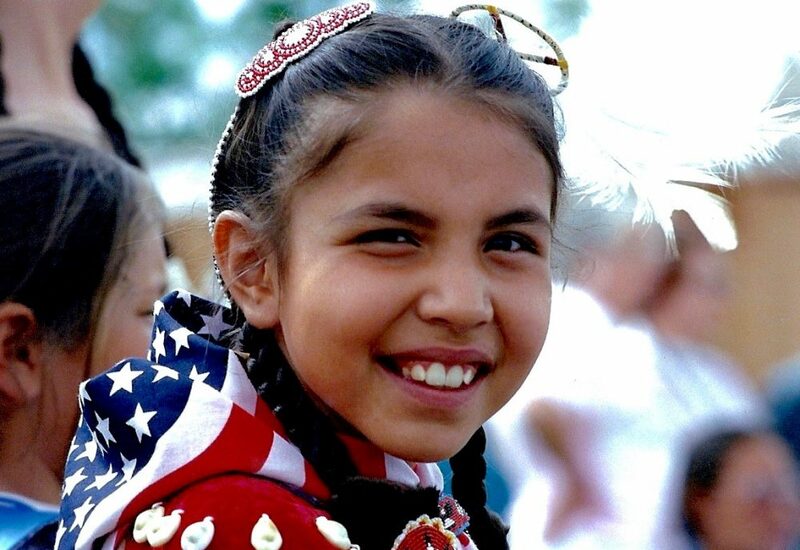 Down the road lived the Oglala-Lakota people on their Pine Ridge Reservation. It was the 50th anniversary of the establishment of the park and to celebrate this milestone event a small group of Lakota from Pine Ridge had been asked to attend and perform some of their cultural powwow dances in honour of the anniversary of the park. 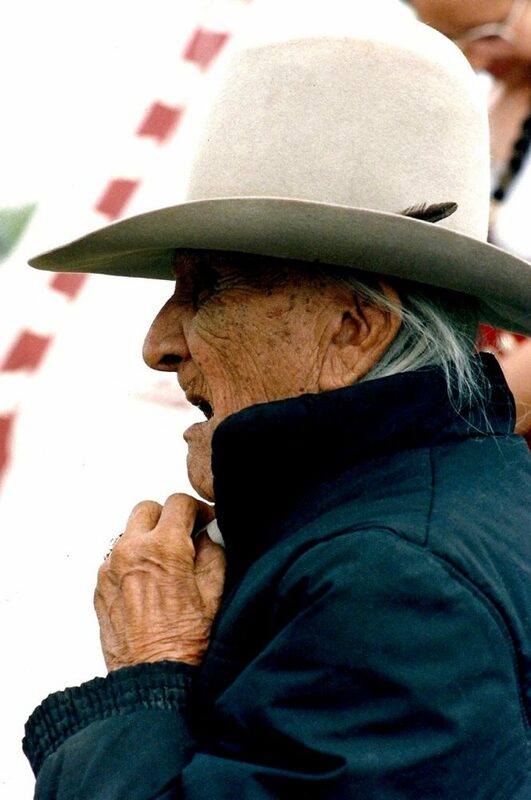 During the event the Ceremonial Chief of the Lakota Nation Frank Fools Crow who was only eight months shy of one hundred years old was asked to speak on behalf of his people. As Fools Crow delivered his speech it a strong powerful voice that may well have represented a much younger man all the Lakota children who were present bowed their heads and clasped their hands behind their backs in respect of their famous chief. This was the only time that I ever used a zoom lens when photographing and the preserved images of Fools Crow were later posted to his family for everyone to enjoy. 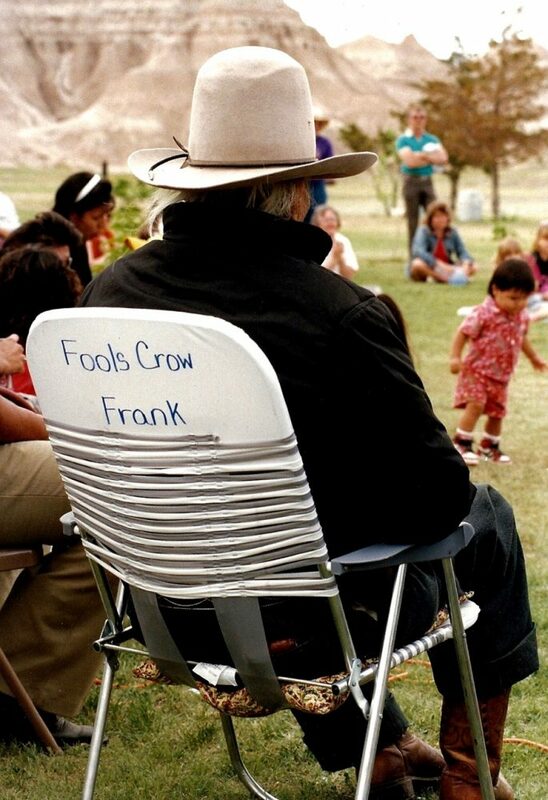 I will never forget the moment when I walked over to Fools Crow at the end of the powwow events for the Badlands anniversary and stretched out my hand and said “My name is Andrew Hogarth and it is a pleasure to meet you Mr Fools Crow.” Sadly four months later Fools Crow passed away although I am told that he did make it to the premier of Kevin Costner’s “Dances With Wolves” that was shown in Rapid City, South Dakota. It may well be that I recorded the last images of the Ceremonial Chief of the Lakota Nation. Fools Crow had been born around the time of the Wounded Knee Massacre in late December, 1890 and he witnessed many changes on the reservations over the decades of his long and interesting life. 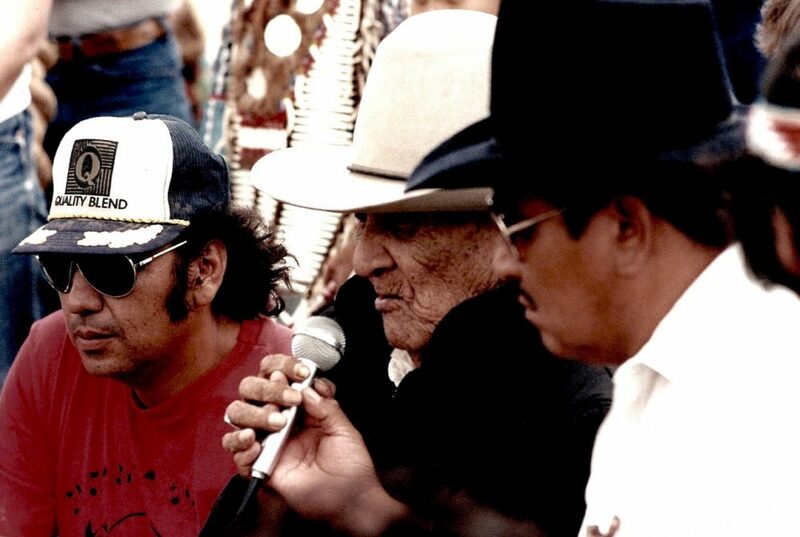 I preserved six images from that day on the 25th of June, 1989 in my collections Native Lands, Powwow and Great Plains. And when Powwow: Native American Celebration was selected for a three year National Tour of the United States of America in April, 1998 I was glad that interested parties across the country would be able to enjoy one of my Fools Crow images that was shot on the anniversary of the Lakota-Sioux and Cheyenne’s greatest victory at the Greasy Grass. This entry was posted onMonday, May 30th, 2016 at 3:06 am and is filed under Sydney, NSW, Australia. You can follow any responses to this entry through the RSS 2.0 feed. You can leave a response, or trackback from your own site. Both comments and pings are currently closed.